The 38th CONSTRUMA exhibition took place from the 5th to the 9th of March 2017, attracted even greater interest than ever before. 700 exhibitors and 60000 visitors from 17 countries arrived to the HUNGEXPO Budapest Fair Center. Among the numerous well-known exhibitors, the AEROPRODUKT was also represented on the most esteemed building engineering trade show of Hungary. 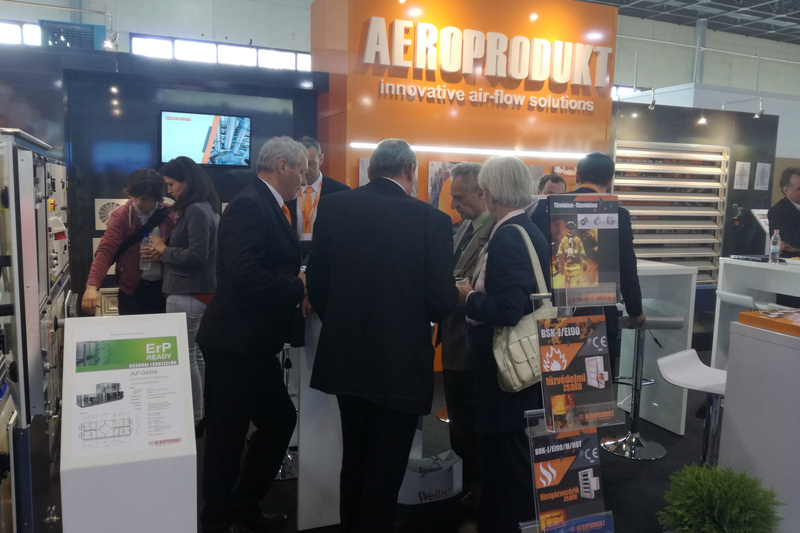 Visitors at our stand could have a comprehensive view of our divers product range, from the ventilation grilles and diffusers to our smoke and fire protection products. Our newest CE certified BSK-J/EI90/G fire damper has received special attention, thanks to its 1500mm x 1500mm size, which is unique in Europe. 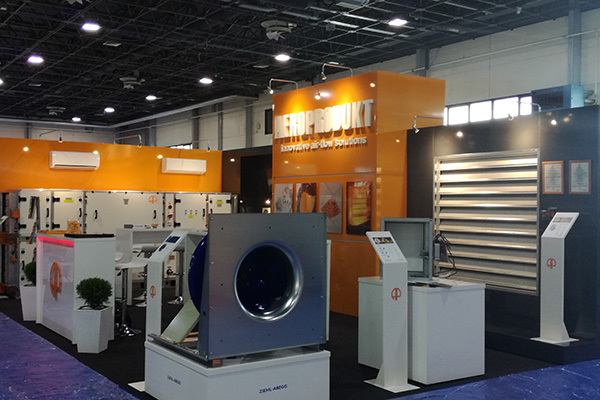 Beyond our own products we also featured products from our partners – RUCK, BELIMO, MANDÍK and ZIEHL-ABBEG. We are proud to work together with partner companies recognized by the profession. We value their innovative solutions allowing to increase production efficiency. 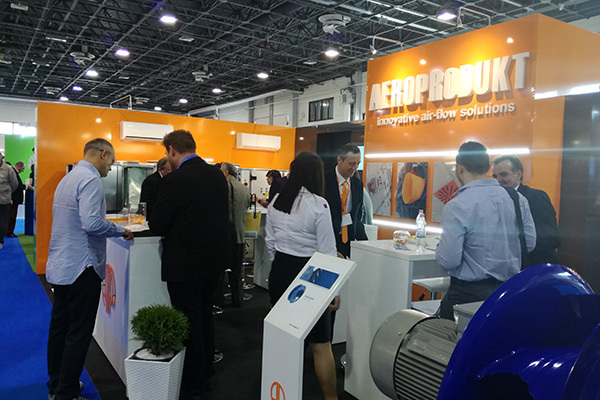 As innovation is a key element of our corporate philosophy, it was a great honor to introduce to the public at our stand the bluFIN fan created with an innovative approach by ZIEHL-ABEGG. 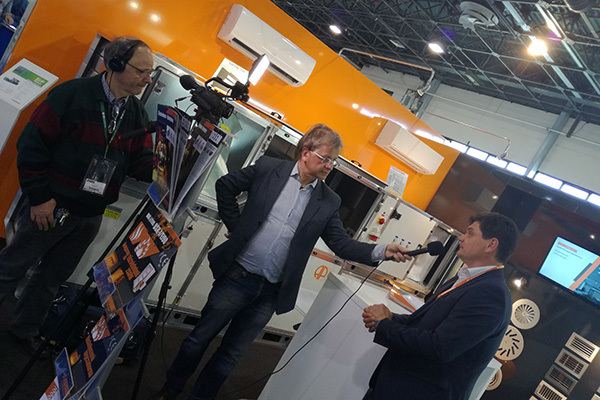 Beyond presenting our products the HUNGAROTHERM event provided opportunity to deepen our relationship with our current partners and to meet with new customers. It was a special pleasure for us to be able to personally welcome the hungarian sales managers of Ziehl-Abbeg and BELIMO.